I’d never heard of the Cinque Terre before. Italian classes in primary school had taught me enough to know my numbers – so I knew that cinque (CHIN-kwe) meant five and I knew that terre was probably also an Italian word. Cinque Terre – five lands. Five tiny towns, perched in valleys or on shelves of land, nestled between steep cliffs and a beautiful ocean. Travelers told me it was fantastic. Everyone knows that photos never do a place justice. I knew it was going to be better-looking than what I’d seen in 2 dimensions. The Travel for Teens group that I was lucky enough to work with in 2018 was just fantastic – eager to help on the community service task (maintaining the UNESCO world heritage trail that runs between the 5 towns), keen to engage in the Italian culture and great fun to be around. 10. The pesto – arguably pesto comes from this region, from all the fresh basil grown on the hillsides. Mmmmm…it’s that good I’m embarrassingly salivating. 9. The people – friendly Italians that are not in the rush of the city, welcoming, jolly and tanned. 8. The train – riding through tunnels between the towns, smelling the salty seaside. 7. The trail – one of the best hikes I’ve ever done – challenging at times, always gorgeous. 6. The ocean – beautiful shades of blue from a distance, clear cool and refreshing up close. 5. The night-life – well…I’m a fan of sea-side acoustic and cultural music, busy (but not too busy) terraces of happy people, and pleasant yellow street lamps. It’s not Club-Euro-Disco-2000. It’s way better. Just perfect. 4. 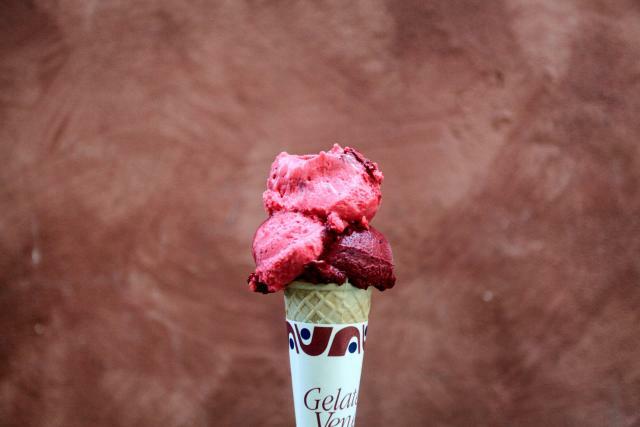 The gelato and granita – is it just that ice-cream tastes better at the beach? No…that limone granita I had one evening in Monterosso trumps every frozen cola product I’ve ever had: combined. It was a pleasant evening too, though. 3. The feeling that you’re the only people in the world – trapped by cliffs and the ocean, I can still vividly remember the night-time on the hill that divides Monterosso – the last sounds of the band playing for the night in the distance, people cheering and laughing and I’m imagining I’m trapped here forever. And I’m smiling. 2. The scenery – whether you’re looking back at the shore from a boat or a tidy little swim, or looking down at the ocean and towns on one of the peaks of the trail – this is some of the best scenery in the world. 1. The gorgeous, all-inspiring beauty of the place! – back alleys in the Cinque Terre are charming, not dirty. Colorful towels hang from colorful windowsills that belong to colorful houses. Walking down the cobbled street, shopfronts are small, quaint and beautiful – not an eyesore in the place. 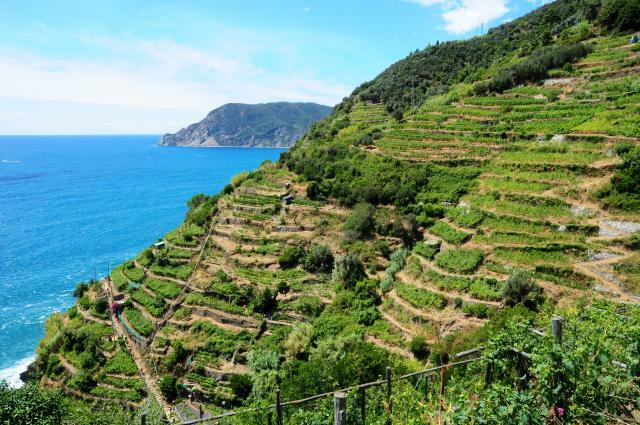 Whether it’s the obvious beauty of nature – the hills and the beaches speak for themselves – or the delightful Italian architecture, or a cat lazing in the grass – there’s something magical about the Cinque Terre. Don’t take my word for it – check it out for yourself!